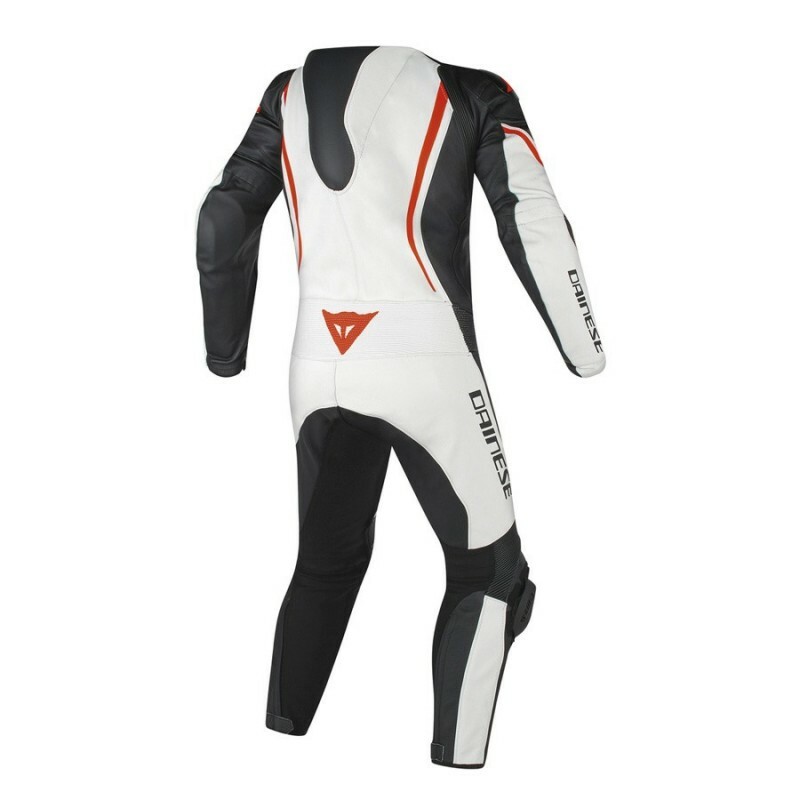 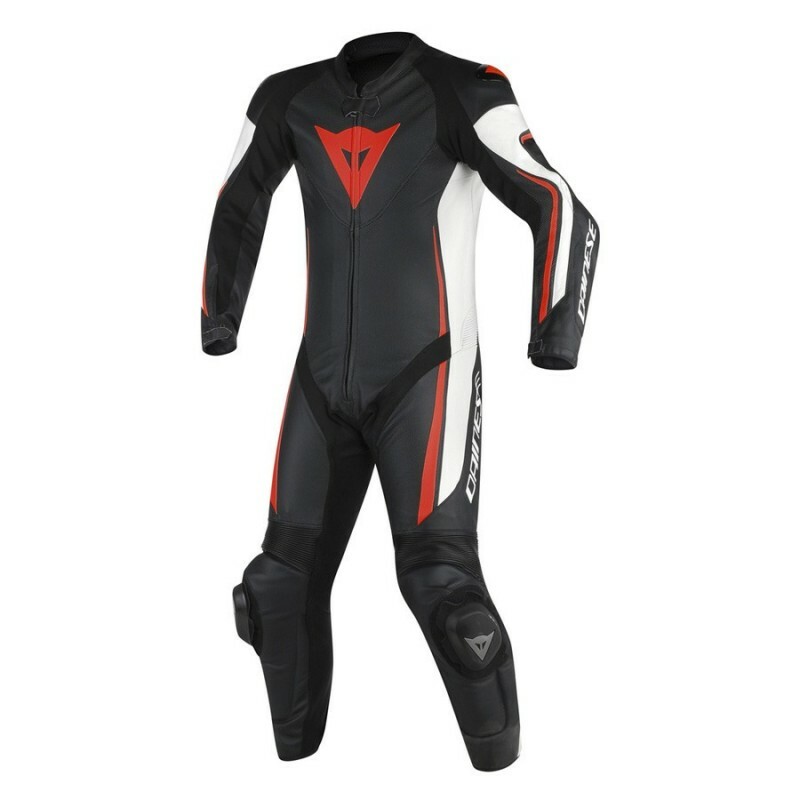 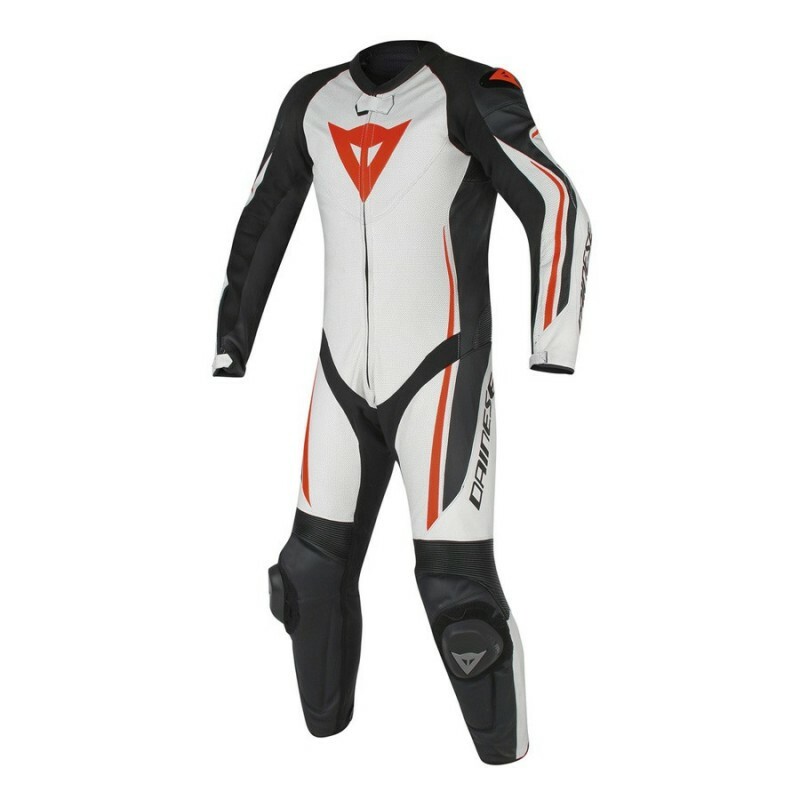 The Italian motorcycle clothes manufacturer Dainese presents you his vented moto leather suit homologated for man the Assen 1 Piece Perf. 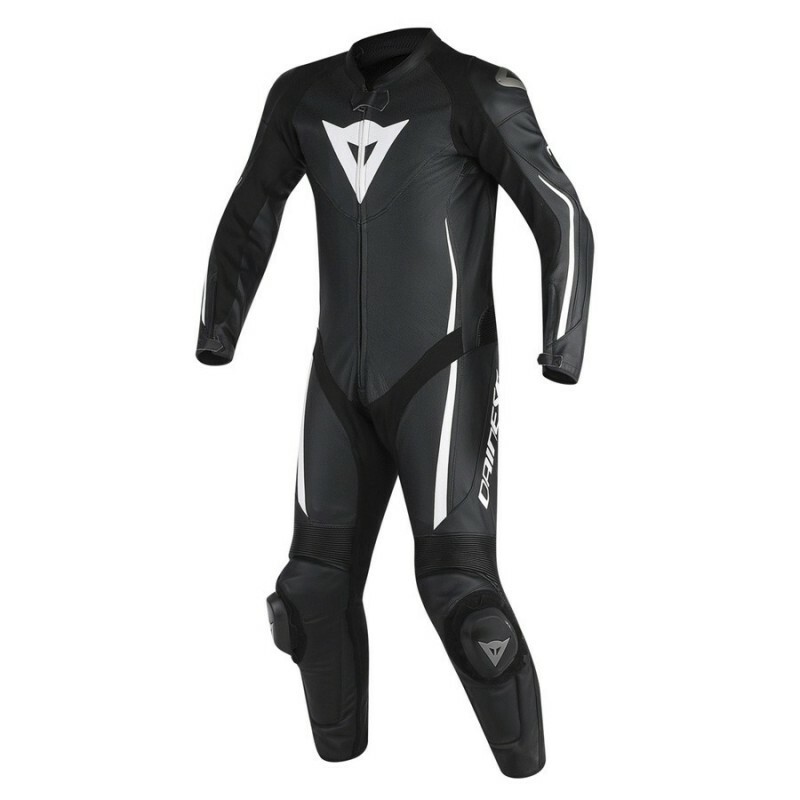 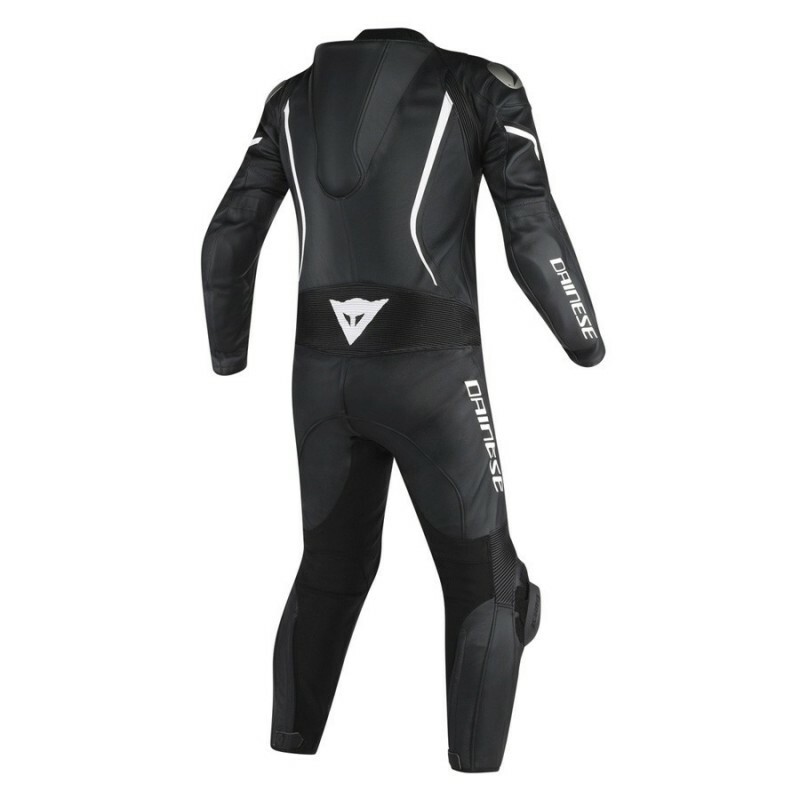 The aggressive look and striking design are what you first notice about the CE-certified Assen one-piece perforated suit, which is constructed of Tutu cowhide leather with elasticated inserts. 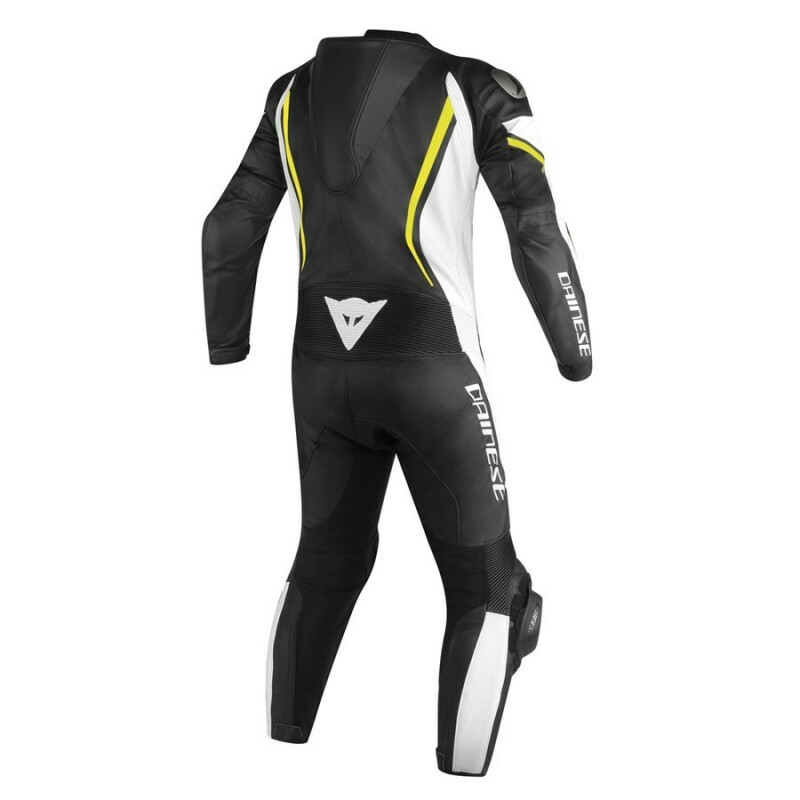 Also noteworthy are the aerodynamic hump, aluminum inserts at the shoulder, and a removable NanoFeel liner.